You love your dog and cat like members of the family, but you don't love pet odor. You'd rather live with it than without them, but in a perfect world you'd keep Ren and Stimpy and remove the odors forever. An entire industry has arisen to help pet parents eliminate unpleasant odors, with air ionizers on the high end of the price scale. Just because they're spendy doesn't mean they'll remove pet odor. Ionizers clean the air, but aren't efficient odor eliminators. 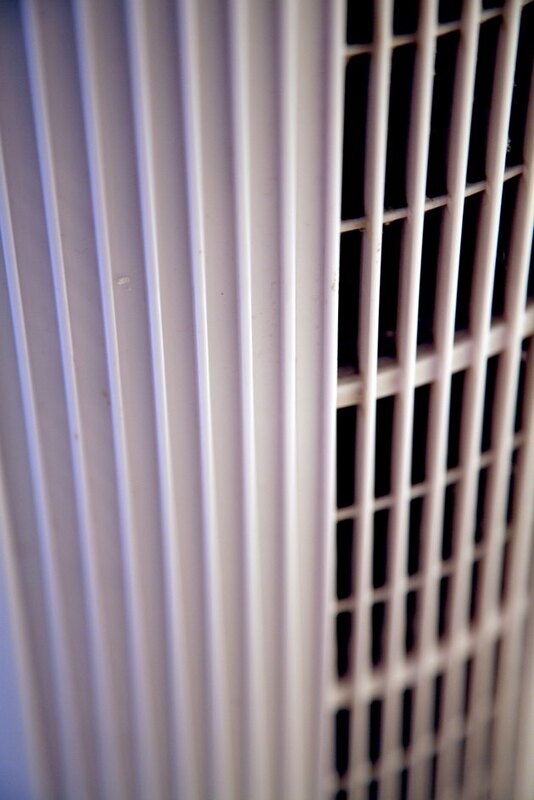 Ionizers are usually sold as air cleaners or purifiers because they remove certain elements from the air. They work by introducing negatively or positively charged ions into the atmosphere. The charged ions attract particles in the air, making the ions heavy and causing them to settle on whatever surface is closest, like the wall, a chair or the table. Ionizers are effective for clearing the air and making it more breathable, but they're not effective for eliminating pet odors. The particles that ionizers are useful for eliminating are larger than odor molecules. They tend to be things like dust, pollen and even pet dander. That means that even though an ionizer won't remove pet odors from your home, they are useful for controlling airborne allergens, including those brought into the home by pets. You may find yourself vacuuming and dusting more frequently when you use an ionizer, but at least you won't be breathing in the particles you find on the surfaces closest to it. If it's odors you want to control, carbon absorbers are useful, according to Dr. Wladyslaw Kowalski in the 2013 book "Pet Owners Handbook of Airborne Dog Diseases." Activated charcoal in carbon adsorbing equipment and filters will remove organic compounds from the air, making the filters valuable for use along with an ionizer. The ions produced by the ionizer will attract allergens in the air, which can then be more easily trapped in the filter, and the activated charcoal granules in the filter will help remove odors. Thorough cleaning to remove pet odors is more effective than the best filters and ionizers on the market. Vinyl flooring and sealed concrete floors are fairly easy to clean because they don't absorb or hold onto anything that causes odors. Pet-safe disinfectants are typically effective in removing odors from rooms with these kinds of floors. Carpet is much more difficult because the pad underneath usually soaks up urine -- and it's impossible to get it entirely clean. Typically you have to replace the pad and clean the carpet with enzymatic cleaner. If it's the litter box, and not the remaining evidence of a potty accident, that's causing the odors, keeping the box scooped daily and completely washed out at least every other week will help control odors. Also, don't put the box in a small, poorly ventilated area. Aside from controlling or eliminating the source of the odor, extra ventilation from an exhaust fan or an open, screened-in window is the best way to keep odors to a minimum.